When you enlist Asset Resource Group as your executive recruiter, you are engaging unmatched real estate industry experience and best search practices. Additionally you are ensuring that only the most qualified candidates from real estate investment or management sectors are presented in a relentless effort to meet every one of your hiring requirements and equally important, your timeline. Exclusively outsourcing your executive search and recruiting to Asset Resource Group is your guarantee that precise focus and unwavering determination will be the driving factors in the recruitment process for the ideal candidate. Asset Resource Group also understands that matching your job specifications is as important as matching your corporate culture. ARG partners with each client to thoroughly learn and understand the nuances of each job and the hiring factors. A portion of the overall fee is paid in advance to engage ARG and the balance is due only upon successful completion of a search and placement of an ARG referral. 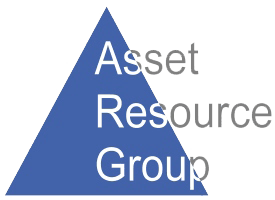 Asset Resource Group is always on the lookout for experienced real estate practitioners with impressive skill sets and industry knowledge. This ensures a ready pool of pre-qualified candidates who may be presented to prospective employers as job opportunities become available. ARG handles all candidate identification & assessment, interviews, reference checks and compensation negotiations. There is no cost or obligation unless a referred candidate is hired and begins employment.